With this combination of attractions we’re sure you’ll enjoy a wonderful day on your vacation to Arenal Volcano and La Fortuna at the best discount pricing available. 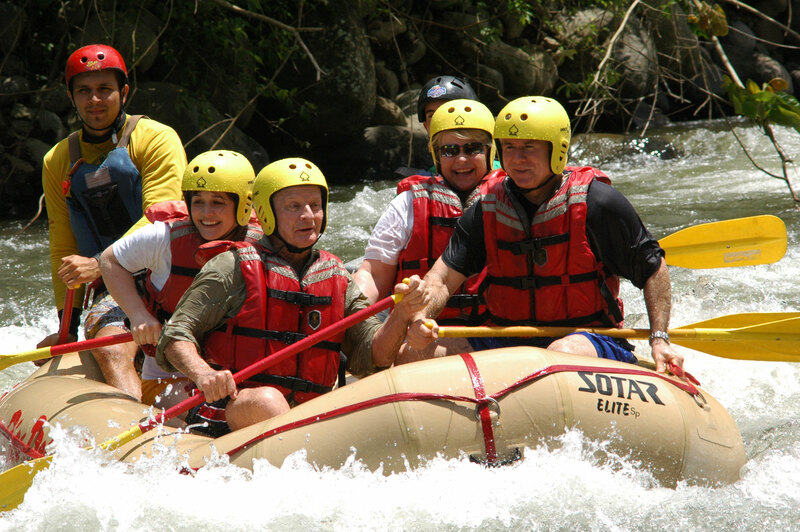 La Fortuna is surrounded by beautiful forests that are home to rivers that allow you to enjoy their rapids as well as hot springs that descend from volcanic veins. For the first part spend your day enjoy the rapids of the Balsa River; choose which intensity you’d like to enjoy: Class III & IV for the more adventuresome or Class II & III for beginners or families with children 6 and under. We provide transportation from the hotel that you indicate to the river. You’ll run the rivers various rapids and enjoy a dip in the river at a natural swimming hole. Halfway through your tour you’ll enjoy some delicious seasonal fruits and end the tour with a delicious Costa Rican lunch. Thanks to a dam higher up the river the water level is always ideal for adventure; the river is surrounded by natural beauty and you can often see birds, monkeys, sloths and more! In the afternoon and night relax in the delightful waters of Baldí Hot Springs and enjoy a filling and delicious dinner buffet with a variety of options. 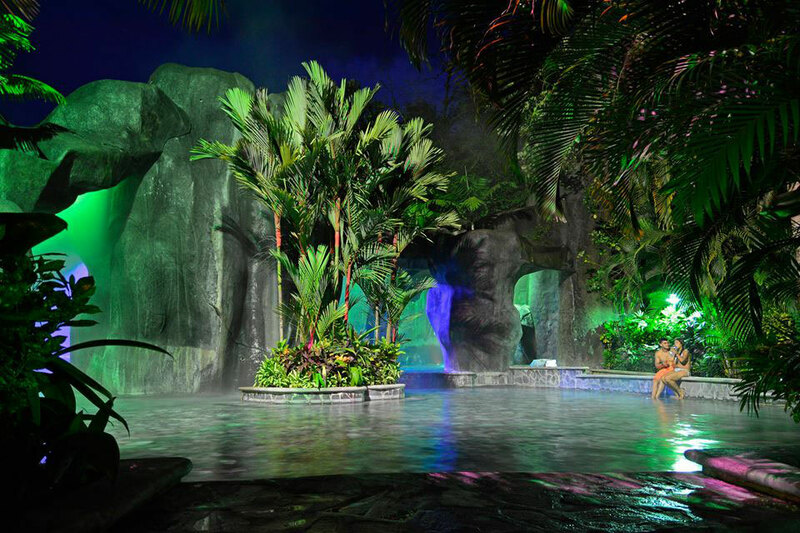 Open until 10:00 pm, enjoy the 15 pools of varying temperature surrounded by tropical gardens; also enjoy the extreme toboggan slides, natural sauna, and spectacular views of Arenal Volcano.